Warrnambool’s Jack Lee is a young gun that has had his eye on racing the mantle of Australian Speedway, World Series Sprintcars since he was a junior racer strapping himself into his Datsun Sunny at the age of 10. 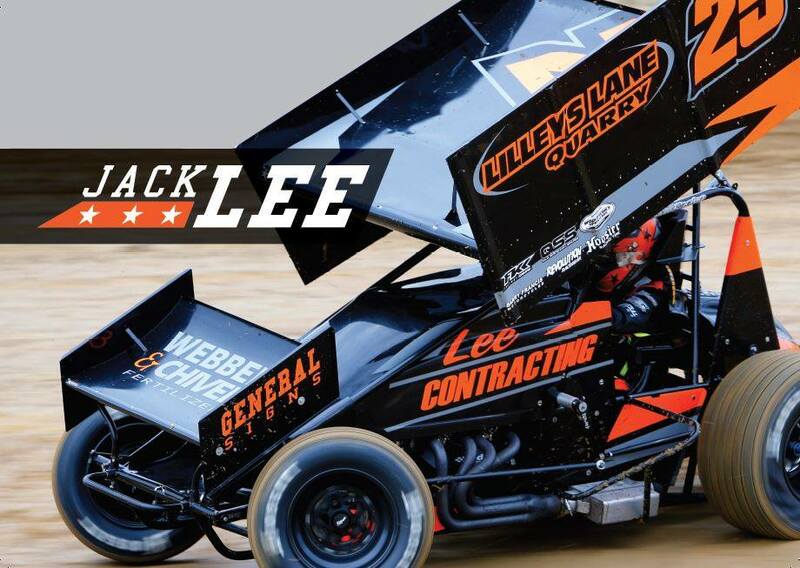 Now at 25 Jack ‘the General’ Lee has decided it’s time to get down to business and stamp his mark on the landscape of Australian Speedway by making a serious attempt at Australia’s toughest National Sprintcar Series. Australia’s blue-ribbon races have been the attraction to Lee in the past but it’s now that WSS seems the logical progression. “I see World Series Sprintcars as the pinnacle of Speedway racing in Australia and I would like to cement myself a place in the history of that event” Lee said. Lee will team up with Crew Chief Carl Trofa to campaign the Maxim Chassis under the Lee Contracting banner. Jack is a second-generation racer, his dad Damien competing in the domestic 360 competition before Jack took over the seat and made the jump to 410’s. Jack’s attempt at World Series Sprintcars sees him eligible also for the Bunyip Print Rookie of the Year Award and is confident if he can string top 10 results consistently then he could be in with a shot at the prize. Lee is looking forward to the camaraderie of the Series as Teams travel Australia to race at the best tracks against the best drivers both contracted and casual. “You can say you race Sprintcars, but when you say you race World Series Sprintcars well that is generating interest I have not experienced before. I’m expecting it to be a fantastic competition.” Lee said.